Offered here is a vintage DECO FEMALE FIGURINE produced in GERMANY and imported by ERphila. 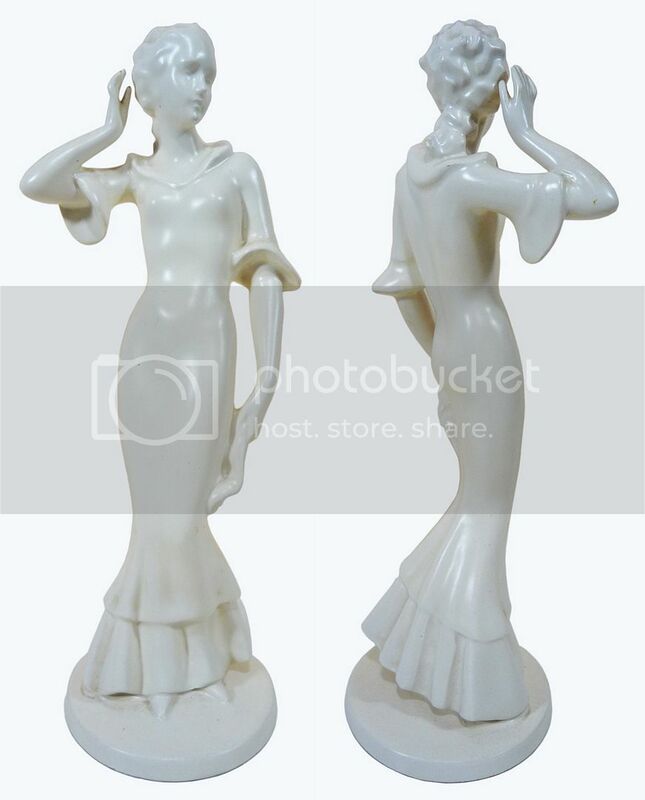 This finely detailed white glaze statue measures approx. 10″ tall and is in very nice condition, with one small glaze chip on the underside of her left sleeve on the back side (see photo) and some other very minimal marking. Nothing that can even be seen from the front. The detail and flowing design on this sculpt is exquisite! ERphila was actually an import company rather than a manufacturer and was owned by Ebeling and Reuss of Philadelphia, Pennsylvania, U.S.A. 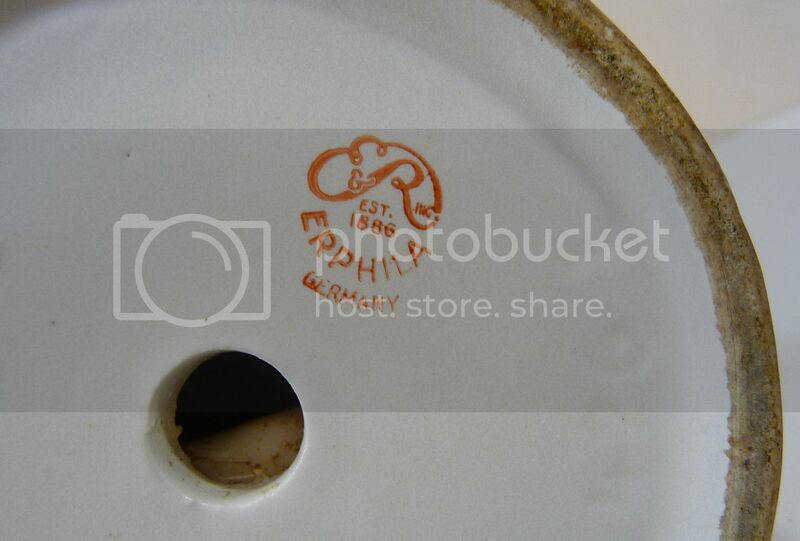 The company imported high quality pottery from numerous factories in Europe, many of which remain unidentified. ERphila operated roughly between 1920 to 1940 and their imports are highly sought after. SKU: pop11. 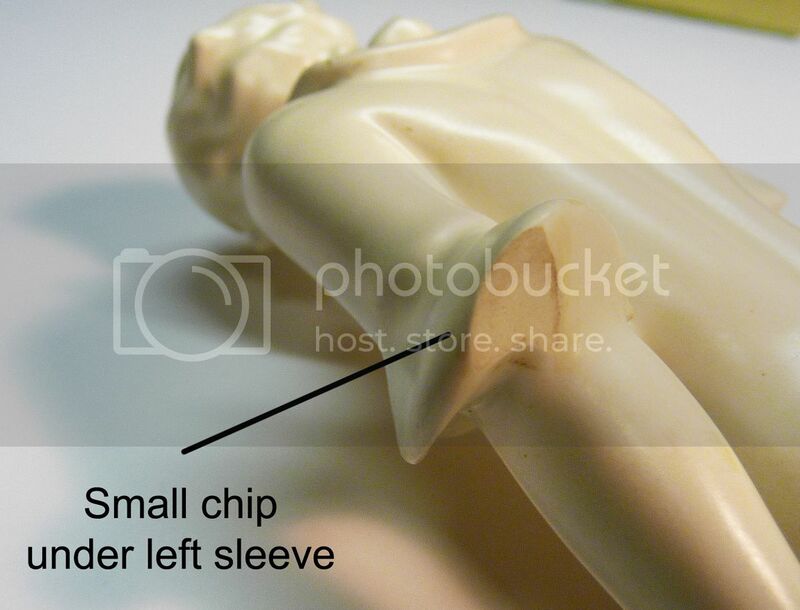 Categories: MISCELLANEOUS, MEMORABILIA, STATUES & FIGURES. Tags: collectibles, ceramic figures, deco women, decorative figures, Ebeling and Reuss, ERphila, female figures, German art, German sculpture, Germany, pottery, statues, art, art deco, figurines, Pop Culture. Be the first to review “Vintage German DECO FEMALE FIGURINE (1930’s) Porcelain Pottery” Click here to cancel reply.